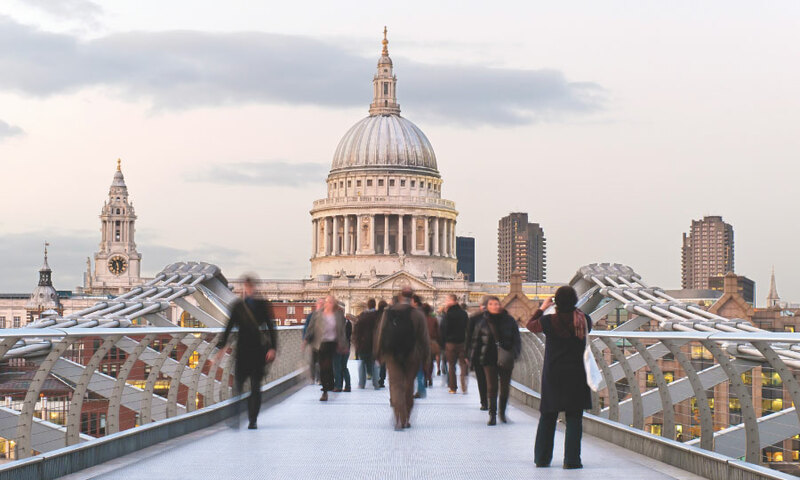 London is a fascinating city and among its numerous attractions are 250+ museums, many of them world-class and free to enter. 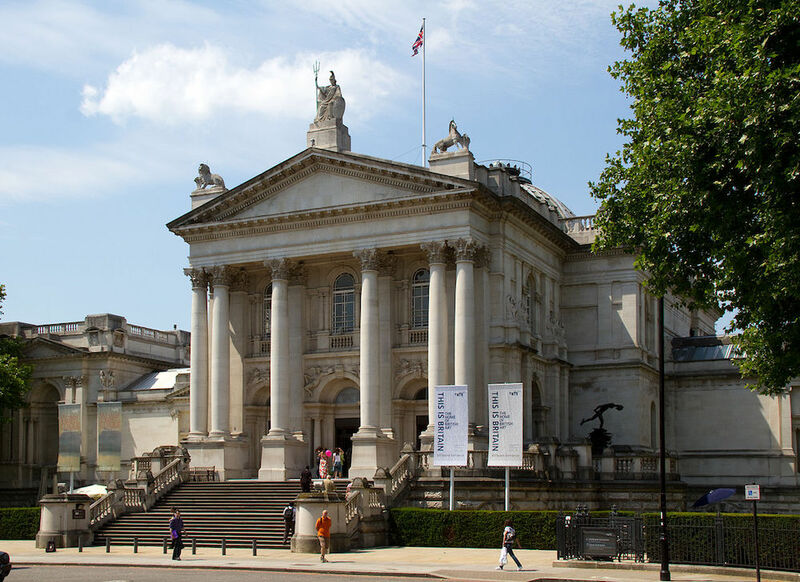 There are also museums in London that charge an entrance fee and some of the free museums in London do charge for special exhibitions, but a general rule here is that most museums are free to enter as they are funded by the government through a trustee body. 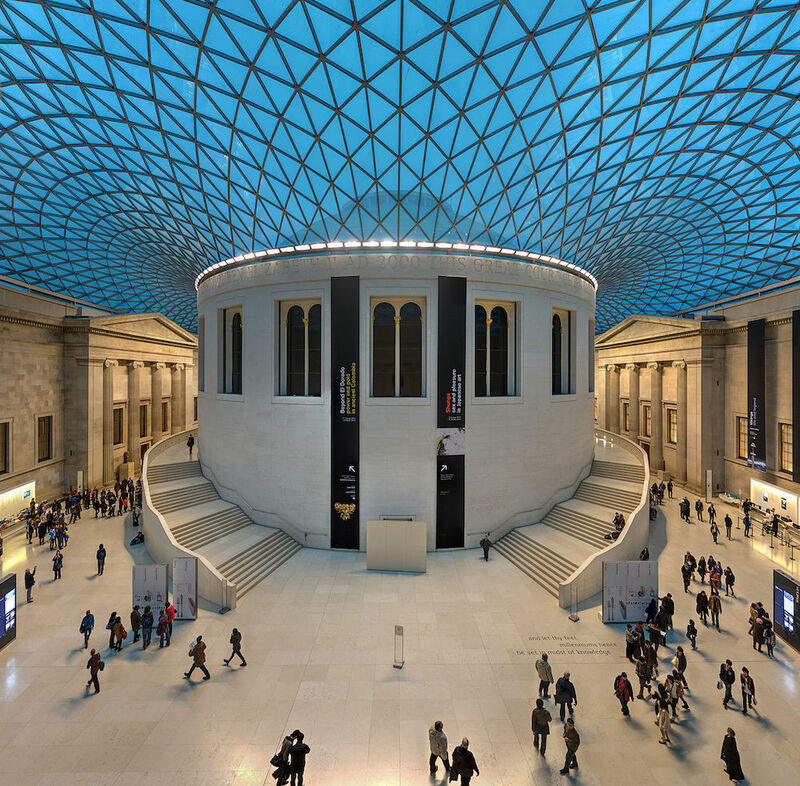 With that, below are twenty of the more popular museums in London to visit. Established in 1753 mainly from the collections of the Irish physician and scientist Sir Hans Sloane, the British Museum in London is now enormous not just in physical size, but in its permanent collection which has over 8 million objects from around the world showcasing history, art, and culture. Many of these objects were sourced during the era of the British Empire and so there are continual calls for some of the more famous objects to return to their home country. This includes the Elgin Marbles also known as the Parthenon Marbles which were initially part of the temple of the Parthenon and other buildings on the Acropolis of Athens in Greece. The Great Court at the British Museum in London. Photo Credit: © Diliff via Wikimedia Commons. Once part of the British Museum, the British Library became its own separate entity in 1972 and has an extensive collection of 150–200 million+ items from across the globe. But one of the main aims of the British Library is to collect every published written work in the United Kingdom under its wing. 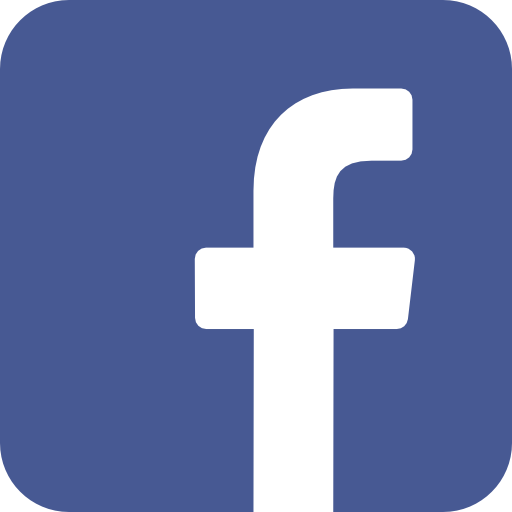 This includes everything from pamphlets and newspapers, to regular and historical books. 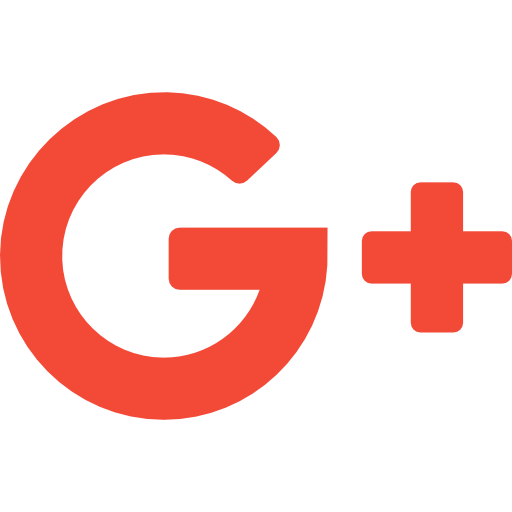 And included in the collection are historical works like the Gutenberg Bible, and the world-famous Canterbury Tales by Chaucer, as well as the works of the renowned Charles Dickens. Besides the permanent exhibition of historical works, you can find a plethora of old maps and documents, including 2 copies of the original Magna Carta, a charter of rights agreed to by King John of England at Runnymede, near Windsor, on 15 June 1215. 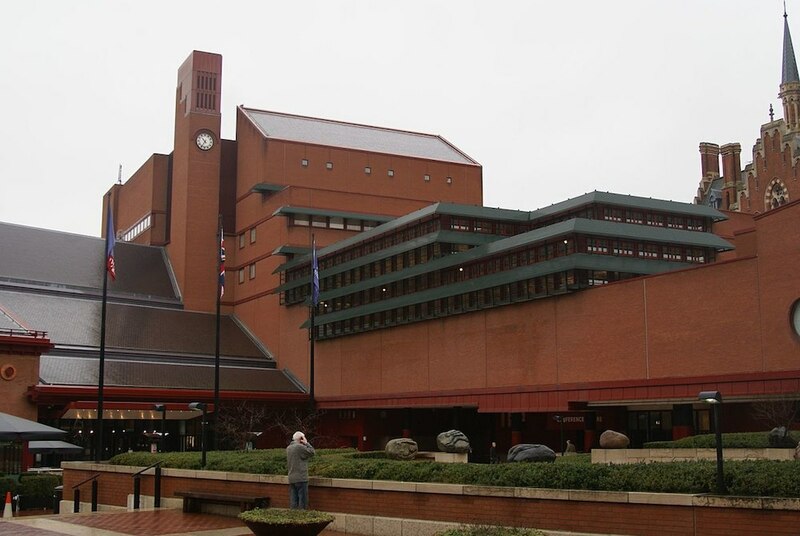 The British Library in London. Photo Credit: © TxllxT via Wikimedia Commons. There are few other artists or writers in the history of the United Kingdom that have been as influential as Charles Dickens, and his life and works are on display at the Charles Dickens Museum in London. While its one of the few museums in London that is not free, the admission price of £9.50 is absolutely worth it, even if you’re only remotely interested in literature. 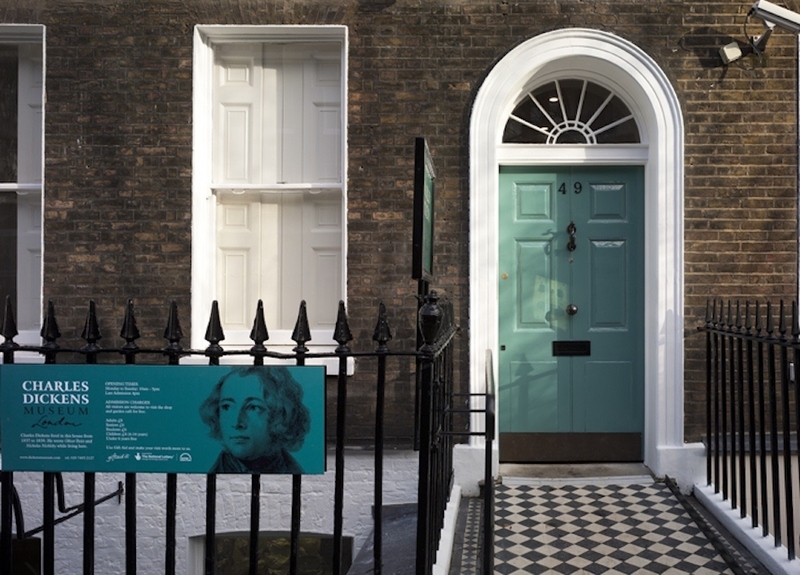 The Charles Dickens Museum which opened in 1925 is set in one of the houses that Dickens himself used to live in and its filled with memorabilia and documents from Dickens’ past. 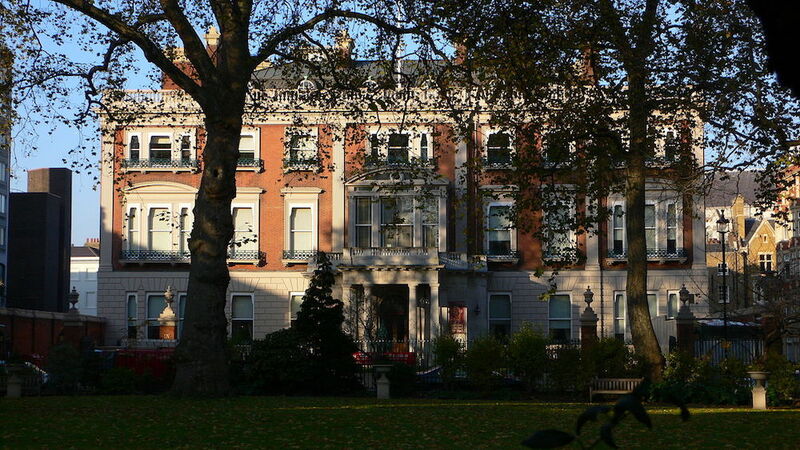 It even houses the well-known portrait called Dickens’ Dream, which was commissioned a year after his death. Charles Dickens Museum in London. Photo Credit: © Dickens Museum via Wikimedia Commons. 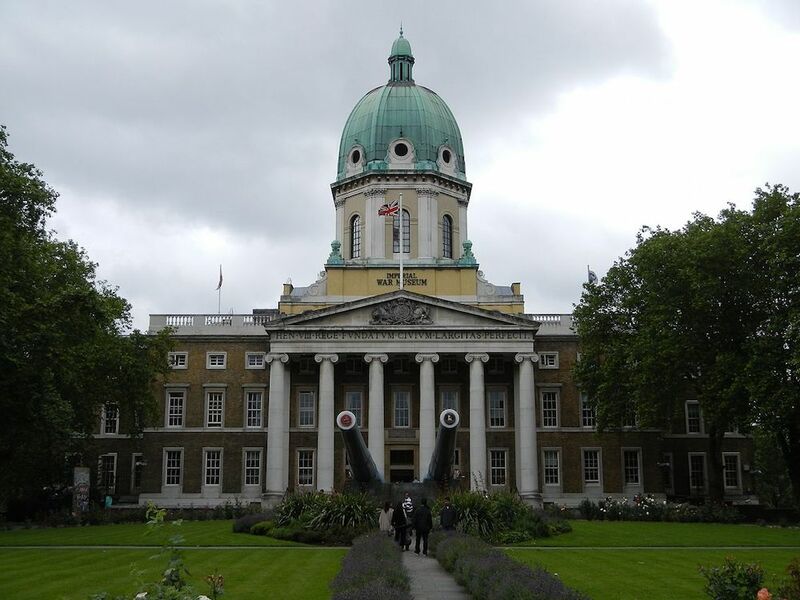 The Imperial War Museum is one of the most fascinating museums in London. Though technically it isn’t a singular place, but rather a series of five different branches, only three of those being in London. One of its most unique and exciting departments is called the Churchill War Rooms, which was the command headquarters of the British government in the Second World War. Initially constructed in 1938 under the Treasury building in Westminster, it was used extensively by Winston Churchill and the rest of the British government throughout World War II. At the end of the war, the location was abandoned by the government but preserved, and today the Churchill War Rooms is one of the most important British military museums. 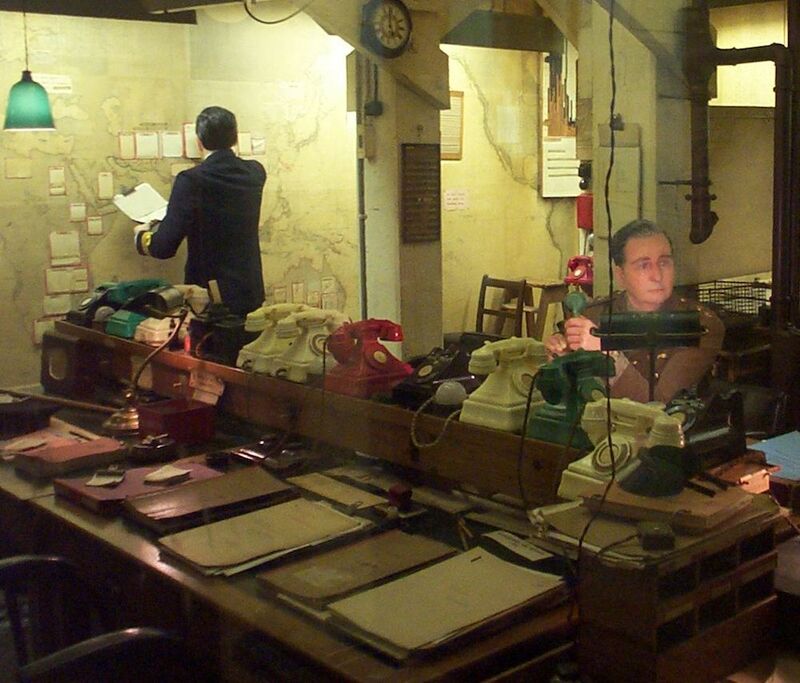 The Map Room in the Churchill War Rooms. Photo Credit: © Kaihsu Tai via Wikimedia Commons. 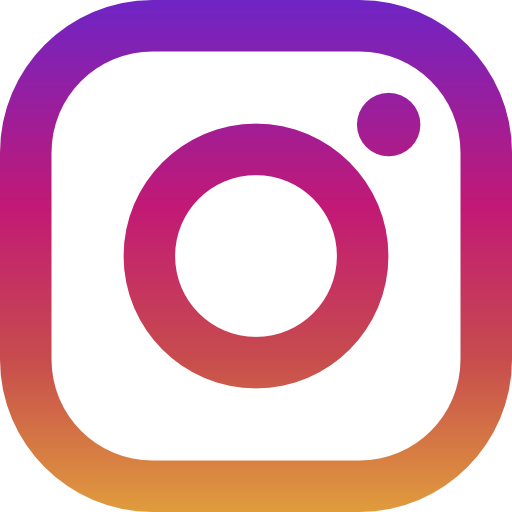 Founded in1989 by Sir Terence Conran, the Design Museum in London which champions design and the impact it has on the world has many exhibitions on industrial, graphic, architectural, and even fashion design. These exhibitions provide visitors with the opportunity to discover which types of designs were prevalent over the course of the 20th century. In addition to the permanent collection, there are typically temporary exhibitions, workshops and talks all focused on design. Design Museum in London. Photo Credit: © Anthony O’Neil via Wikimedia Commons. The Imperial War Museum London was opened in 1920 to commemorate the civil and military war effort and sacrifice of Britain and its Empire during the First World War. Its remit has since been expanded to honour both civilian and military involvement in every conflict ever since 1914 and was significantly expanded after World War II. 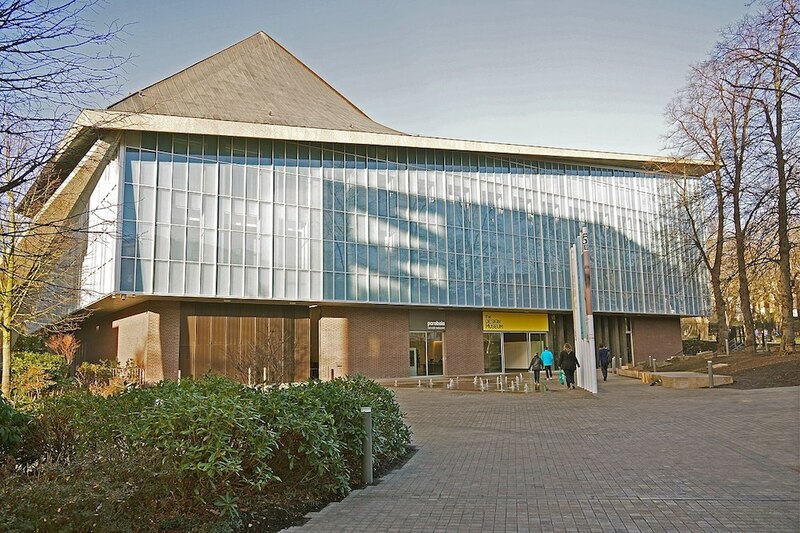 The Imperial War Museum’s collections include an extensive archive of personal and official documents, photographs, film and video material, and oral history recordings, an extensive library, an extensive art collection, and examples of military vehicles and aircraft, equipment, and other artifacts. Imperial War Museum London. Photo Credit: © K.ristof via Wikimedia Commons. The London Transport Museum is one of the more unique museums in London showcasing every type of public transport in the city. 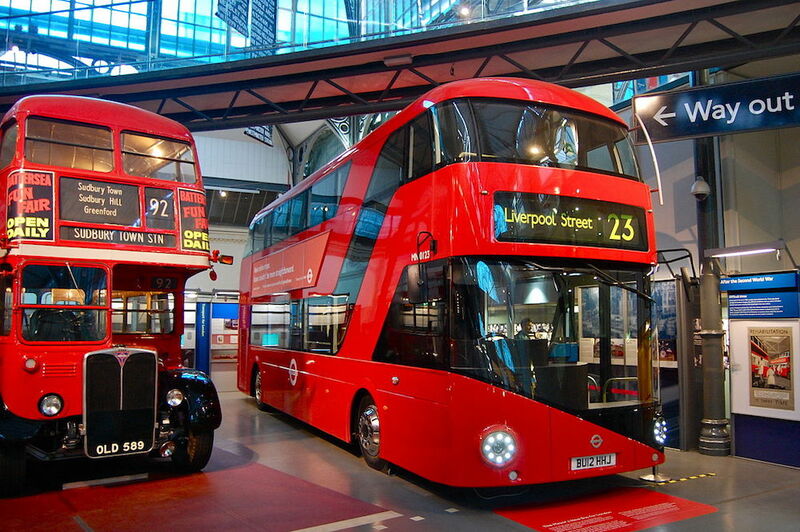 Opened since 2000 by Transport for London, the London Transport Museum is split between two facilities, with the first one being Covent Garden where the principle exhibition takes place. At this location you can see every sort of vehicle used for public transport, as well as learn about the history of these vehicles. The second facility is The Depot which is primarily used for storage, but it’s also possible to visit it and see the exhibition up close with its various buses, trams, trolleybuses, rail rolling stock and other vehicles. Old and New Routemaster inside the London Transport Museum. Photo Credit: © Magnus D via Wikimedia Commons. 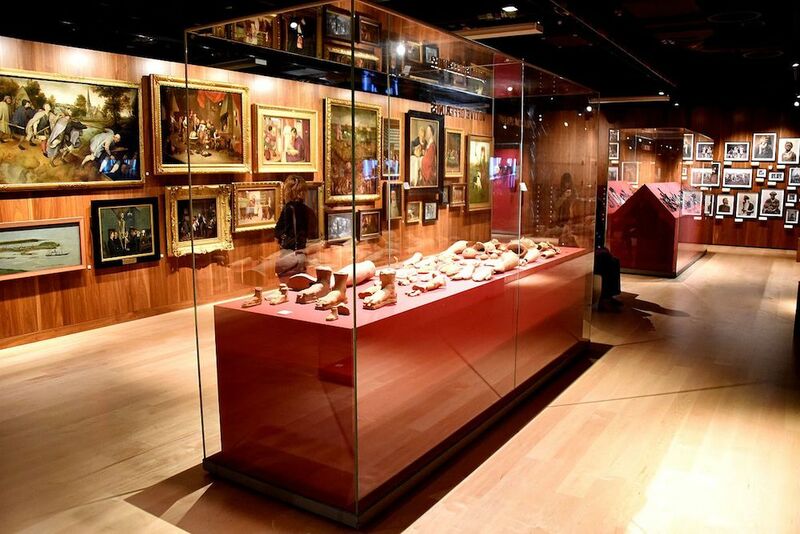 Open for more than four decades, the Museum of London located at London Wall, close to the Barbican Centre presents items, artifacts, charts, diagrams, and maps from every period of the history of London, starting with the prehistoric edge. In its halls, you’ll find countless artifacts from Roman times, the Medieval Age, or the Industrial Age, as well as other periods in history. With more than six million objects, the Museum of London is the most extensive urban history collection in the world. 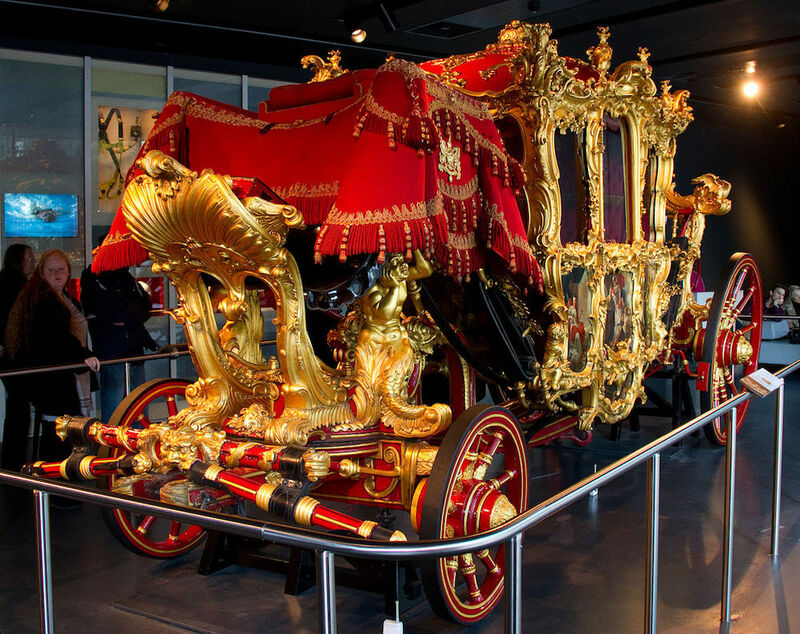 Lord Mayors Coach on display at Museum of London. Photo Credit: © Tony Hisgett via Wikimedia Commons. 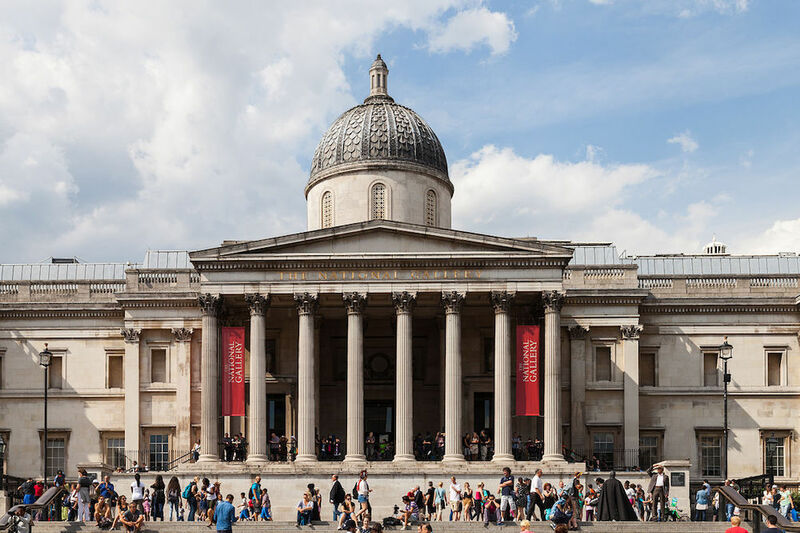 Founded in 1824 after the British government purchased 38 paintings from the heirs of John Julius Angerstein, the National Gallery focuses on the academic and educational side of art. Located in the heart of the city in Trafalgar Square, the National Gallery has a modest collection with slightly over 2000 paintings, but each and every one of them is an important work, and so attracts nearly as many visitors as the Louvre, the British Museum, and the Metropolitan Museum of Art. The paintings displayed at the National Gallery in London are primarily from the 13th century to the beginning of the 20th. National Gallery in London. Photo Credit: © Diego Delso via Wikimedia Commons. 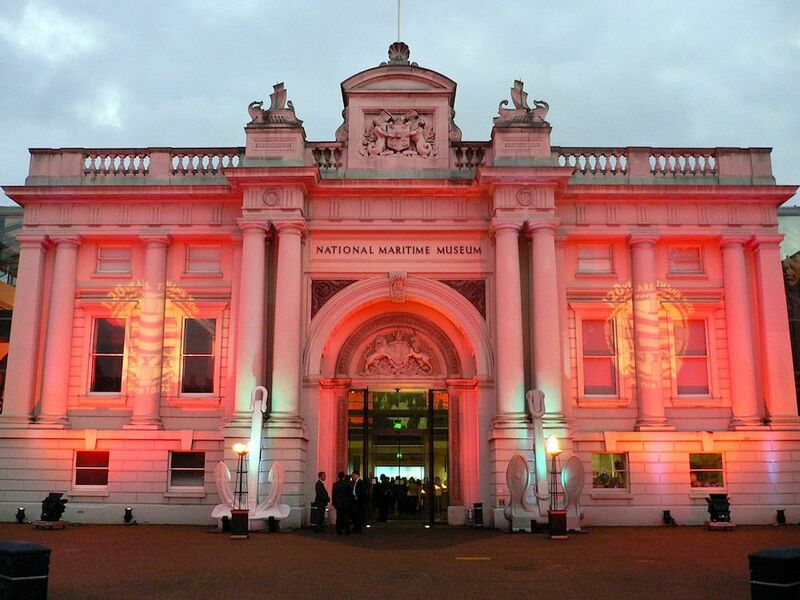 Established in 1937, the National Maritime Museum is the largest and leading maritime museum in the United Kingdom, and also arguably the world. Located in one of the historic buildings which form part of the Maritime Greenwich World Heritage Site which also incorporates the Royal Observatory and 17th-century Queen’s House. The National Maritime Museum is dedicated to the United Kingdom’s connection with the sea, and among its fascinating collection, you can find all sort of ship models, navigational instruments, maps, charts, and everything related to the open waters. 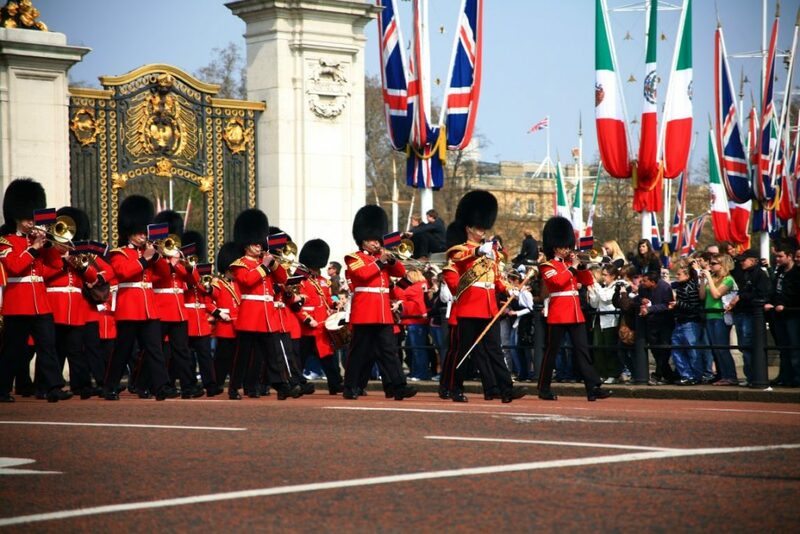 It’s a fascinating place to visit and one of the best museums in London. National Maritime Museum Greenwich. Photo Credit: © Wolfiewolf / Herry Lawford via Wikimedia Commons. Opened in 1856, the National Portrait Gallery in London is an art gallery which houses portraits of historically significant and famous people in Britain including William Shakespeare, the Bronte sisters, and Queen Victoria. The collection with nearly 195,000 pictures at the National Portrait Gallery in London includes photographs and caricatures as well as paintings, drawings and sculpture. National Portrait Gallery in London. Photo Credit: © Herry Lawford via Wikimedia Commons. 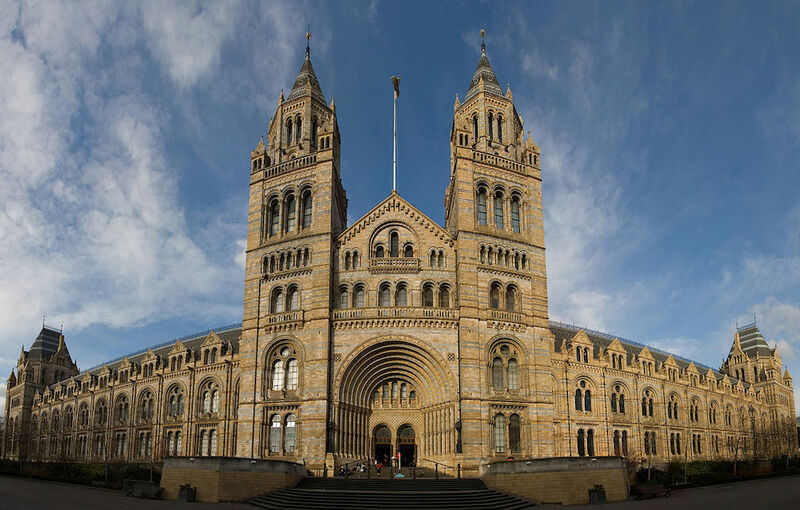 The Natural History Museum in London has an enormous collection with over 80 million items within five main collections: botany, entomology, mineralogy, paleontology, and zoology. 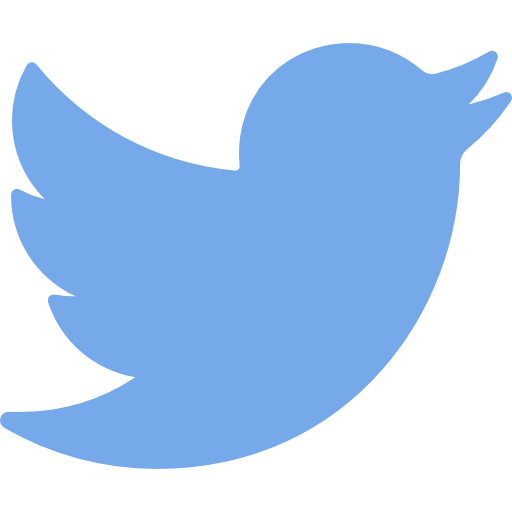 One of the most notable exhibits is a fascinating collection of dinosaur skeletons and fossils. Beyond the various collections, the Natural History Museum in London has a range of scientific research and education activities. Natural History Museum in London. Photo Credit: Diliff via Wikimedia Commons. Opened in 1857, the Science Museum is one of the most popular museums in London with a collection of over 300,000 items. Ever since Victorian times, the focus on the Science Museum has been to showcase the importance and evolution of every type of science, which is why in its collection you’ll find exhibits ranging from the first steam engine to the most important medical breakthroughs, to even interactive exhibits like an Imax cinema that plays documentaries. 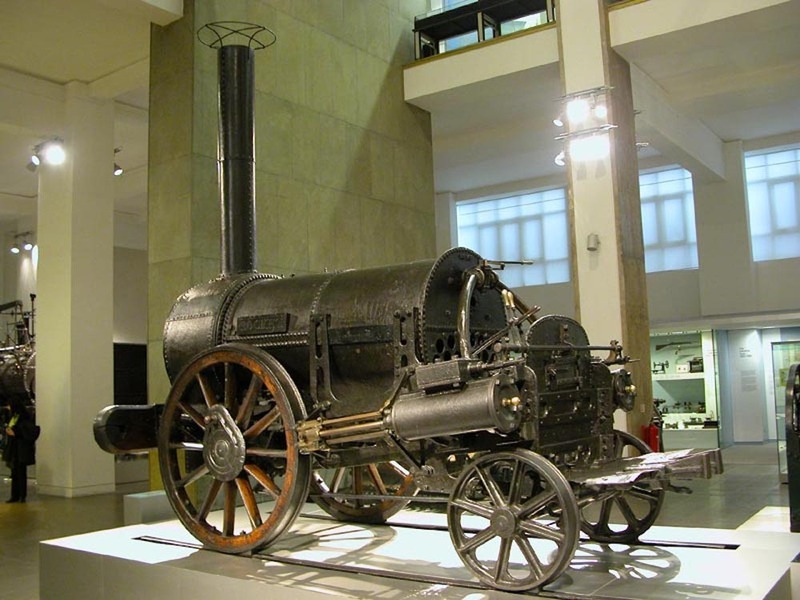 Stephenson’s Rocket at the Science Museum in London. Photo Credit: © William M. Connolley via Wikimedia Commons. Sir John Soane is one of UK’s most renowned architects. He lived and created in the Neo-Classical style, which is what this museum is dedicated to. Established in 1837, the Sir John Soane’s Museum is housed in one of his former homes which he rebuilt in two distinct phases, and since then it’s been slightly reconstructed to be a place where Sir John Soane’s finest works can be displayed. Included in the Sir John Soane’s Museum collection are over 45,000 objects, including approximately 30,000 architectural drawing. 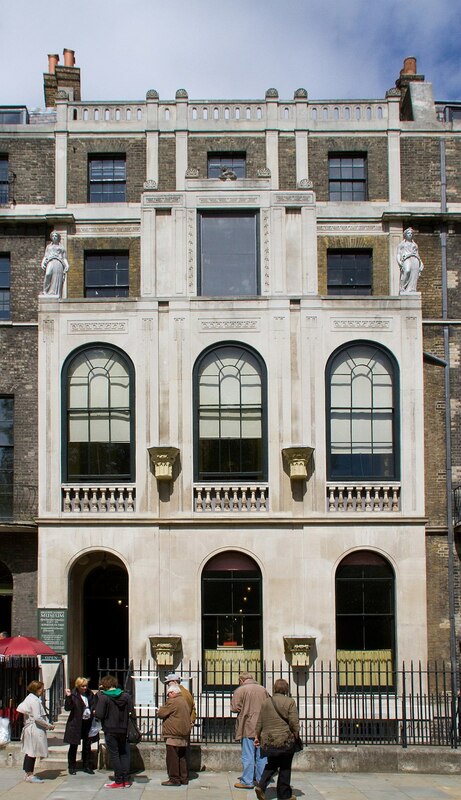 Sir John Soane Museum in London. Photo Credit: © Tony Hisgett via Wikimedia Commons. What was once the National Gallery of British Art is today known as Tate Britain and is part of the Tate network of art galleries. Founded in 1897, Tate Britain displays the collection of British art from 1500 to the present day. It’s one of the largest museums in the United Kingdom and is home to multiple works by great British artists like Tracey Emin, John Latham, Douglas Gordon, Sam Taylor-Wood, and Tacita Dean. Tate Britain in London. Photo Credit: © Tony Hisgett via Wikimedia Commons. Also, part of the network of Tate art galleries, Tate Modern has a similar focus to Tate Britain, except its collection is made up of modern artworks. 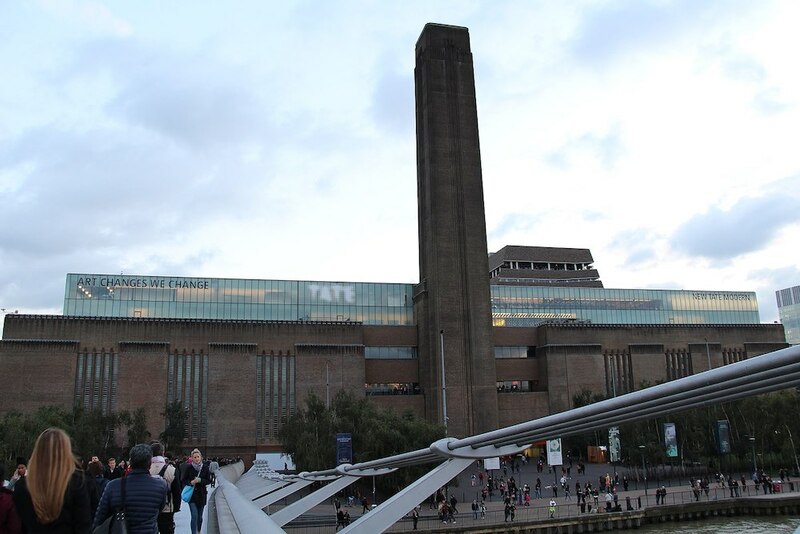 Housed in the former Bankside Power Station in London, Tate Modern primarily displays works starting from the year 1900, and in its collection, you can find numerous works by renowned modern artists like Rothko, Dali, Magritte, and Giacometti. A recent addition to Tate Modern is the Switch House, a ten-story tower, 65 metres high from ground level which has more modern art and fantastic views across the city. Tate Modern in London. Photo Credit: © Fred Romero via Wikimedia Commons. The Postal Museum in London is dedicated solely to one vital part of civil society, and that is the humble post office. Founded in 2004, the Postal Museum in London is entirely underground as it’s the former underground railway network used to speed up postal delivery time within London. Here you will see a range of postal memorabilia and can easily witness the speed and efficiency with which the post office has always functioned with, as you’ll ride in a driverless electric railway, just like it was done almost a full century ago. 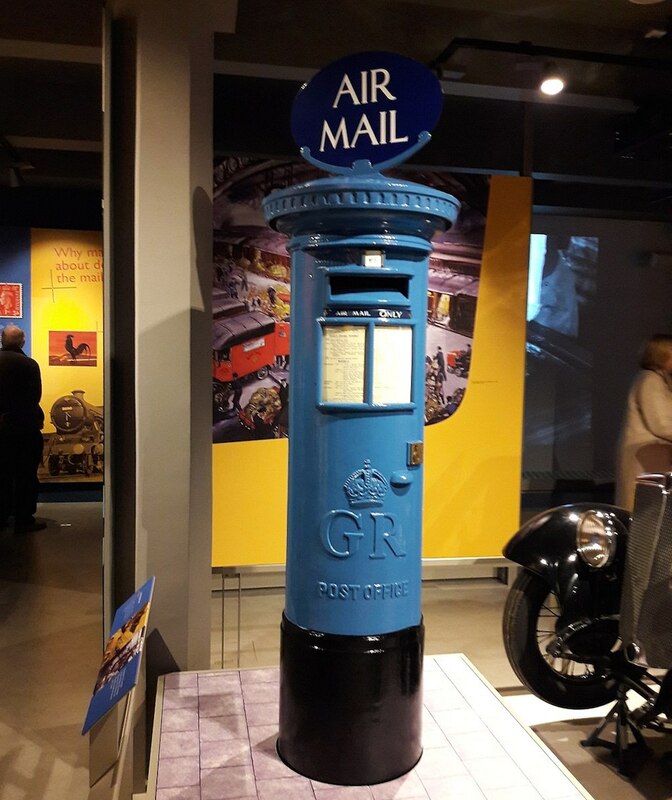 Blue Air Mail box at Postal Museum in London. Photo Credit: © Gaius Cornelius via Wikimedia Commons. 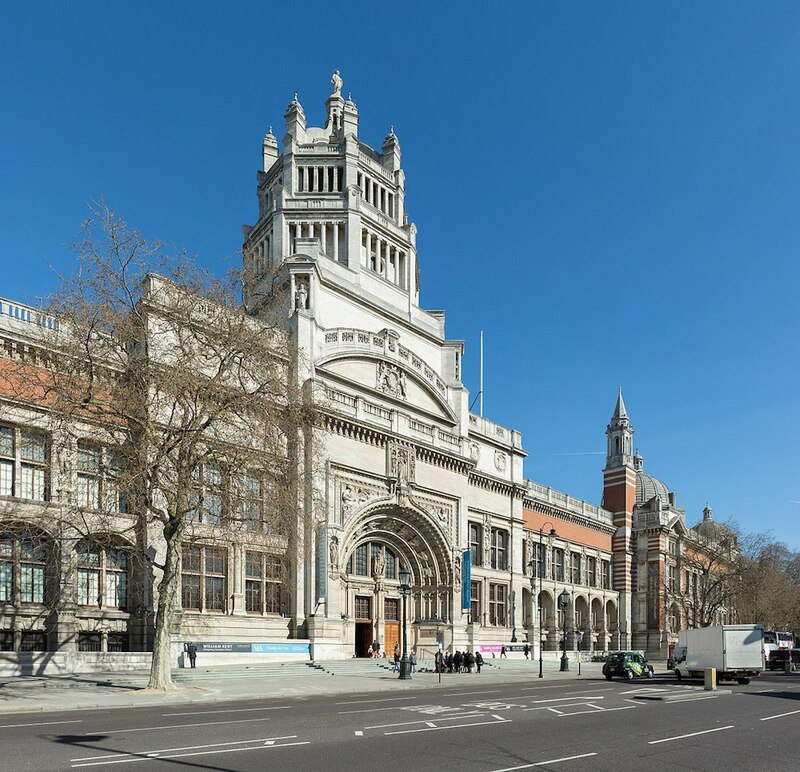 The Victoria and Albert Museum founded in 1852 is without a doubt one of the best museums in London. It’s not just a single typical museum, but rather a large complex of about 150+ different galleries with 2.27 million objects in the permanent collection from prehistoric to modern times. Part of the collection is dedicated to culture from all around the world, and it includes ceramics, sculptures, costumes, textiles, and so much more. Victoria & Albert Museum in London. Photo Credit: © Diliff via Wikimedia Commons. 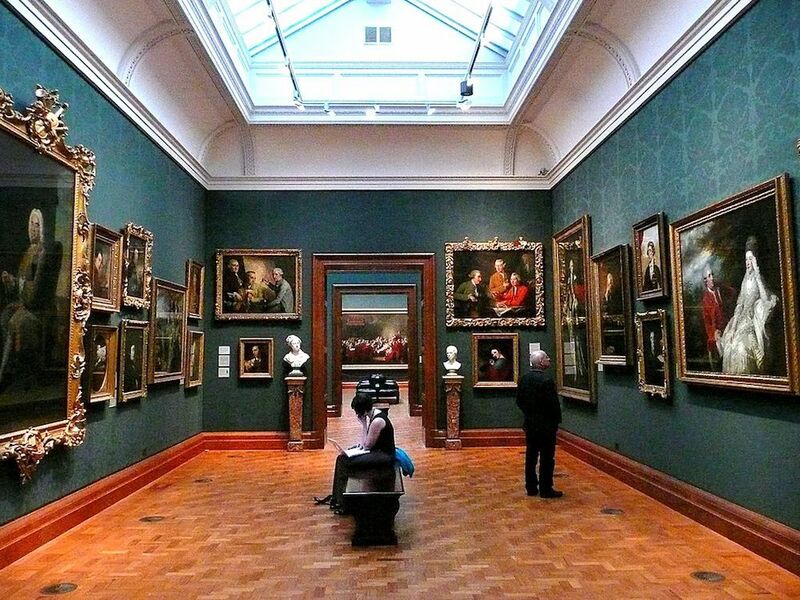 London is absolutely dotted with art galleries, and one of the most incredible ones is the Wallace Collection. It’s an art gallery of breathtaking quality, because it displays numerous amazing works from a long, yet detailed, period of history. Open since 1897, inside the Wallace Collection you can find artworks from the 15th to the 19th century, most of which were donated by the family of Sir Richard Wallace after he inherited it from its father, Richard Seymour-Conway. Wallace Collection Museum in London. Photo Credit: Justinc via Wikimedia Commons. As one of London’s younger museums having been established in 2007, the Wellcome Collection is entirely dedicated to the history of medicine. Though not entirely based on the scientific side of medicine, mostly because of different treatments used in the past, this museum is absolutely fascinating, especially if you’re curious about medicine in the past. Not just a museum, the Wellcome Collection has a library, bookstore, and café. One of the halls in the Wellcome Collection museum in London. Photo Credit: © Osama Shukir Muhammed Amin via Wikimedia Commons. These are but twenty of the more popular museums in London. Many are free to enter but as their collections are vast with millions of objects, we would recommend visiting with one of our guides as part of our London Highlights Tours. The guide will be able to customize a tour ensuring that you see and not miss any of the major items and artworks based on your interest. 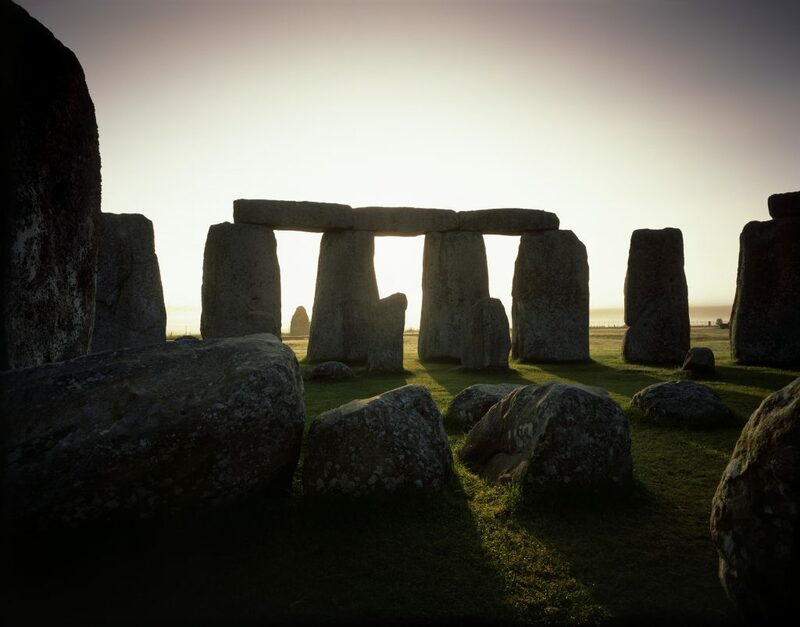 Guidelines to Britain is one the UK’s leading providers of private sightseeing tours for individuals and small groups to London’s top hotels, and has been for over 25 years.